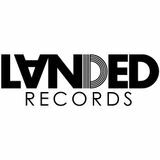 LANDED Records was set up to find up-and-coming talent in the House and Techno scene. 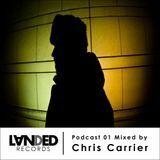 This division focuses on finding exciting raw talent across ALL genres of underground House music in the UK as well as Europe and the rest of the world. Never ones to play it safe or commercial, the LANDED team pride themselves on remaining true to their underground roots. Through their label of inspiring and innovative artists, they are focussed on injecting a fresh concept and vision into the young underground music scene, and keeping it forever fluid and exciting.